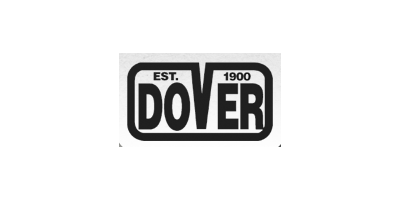 Dover & Sons have been serving the rural community since 1900. Located at Beaudesert and Boonah in South East Queensland, the firm is now run by Murray and Bob Dover, Great Grandsons of the founder Samuel Dover. Selling and servicing a wide range of Tractors, Farm Machinery, Irrigation Supplies, Outdoor Power Equipment and ATV`s, Dover & Sons deal with respected brands, such as CASE IH, Kioti, Polaris, Digga, Munro, Great Plains, Claas and Hardi to name a few. We service and supply parts for all makes of Tractors and Machinery on site or in our workshop, and also provide a Mobile Hydraulic Hose Repair Service. Reference is made by J.R. Dover of an office conveniently adjacent to the railway station in Park St. This was assumedly prompted because of its proximity to the railway station and the fact that son James became active in the business. Maize was the popular grain in those days and it is recorded that he would (with other grain merchants) meet the farmers' wagons at the outskirts of town buying their grain and paying in cash as soon as loaded on rail wagons so that the farmers could purchase their supplies before returning to their properties. With the arrival of a brother-in-law (Glanville) his business moved to what is since referred to as the Guardian Building in Chuch St which was part of an extensive shop complex he built jointly with CWL Heiner of Ipswich. This site saw a significant advancement in sales of produce and turnover, and the involvement of his son James Randolph Dover as manager. Oil engines were imported from England (perhaps arranged during his 1910 visit) and sold under the name of 'Victor', The report that some were lost when the ship was sunk by enemy action gives an indication of dating.. The innovation of an electric light power plant under the building supplied power for the School of Arts and other buildings at the southern end of town. It was common for J R Dover to deliver, install and start up cream separators by horse and sulky. Selling Insurance to farmers south to the border (33km) necessitated a journey by horse and sulky, staying overnight to return next day. Equipment sales also included incubators and sewing machines. A Luya Julius Transport building was acquired in Brisbane and re-erected at 45-47 High St, Boonah on original site of Streiner's Dugandan Hotel. Covering a large concreted floor the building fronted High St and the railway yard. Operated as Farmers' Exchange it accommodated service facilities, storage and showroom facilities to cater for additional motor car agencies acquired. However after a disastrous fire business was conducted in the remaining half of the building which was later sold and J.R. Dover acquired the site of the open air picture theatre next door where he continued the business as James R. Dover utilizing the existing office, ticket office and projection shed. With one son Trevor participating during the war years, after this time saw J.R's three sons taking an active role in the business - Joe, Noel and Trevor.To take advantage of additional agencies which were available, a subsidiary of the company named Boonah Auto Company was formed, and was managed at this time by Noel Dover. Situated in the building next door to Wilkie & Nielsen it held the Nuffield Franchise together with Rover Mowers, Crossley Refrigerators and saw the introduction of the new TV's. Although a variety of Ag Machinery brand names were marketed the major manufacturer for whom we were an agent was International Harvester Co which had a factory at Geelong Vic. From an agent we were listed as a dealer and under this arrangement had to provide assembly and storage facilities to cater for anticipated sales over a certain period. with subsequent forward ordering so that IH could arrange steel procurement and production flow of the implements and tractors they would produce .These were great changes for us and as our premises in High St proved inadequate an additional site at Macquarrie St, of three acres was developed. Imported International Trucks were always marketed but now local manufactured models sourced from the new IH truck factory at Dandenong Victoria provided increased turnover to the farming community of Boonah and Beaudesert.In 1953 the IH Dealership at Beaudesert became available. Initially farmers were personally contacted by attendance at the pig and cattle sales every Monday at Beaudesert railway yards, and in 1955 buildings of a plan approved by IH by which all dealers could be recognized were erected on Telemon Road. Initially the site was staffed by JR, (Jim) Dover who commuted over the unformed track from Boonah each day and also by a local - the reliable sales representative Bert Barlow who gave many years of loyal service. After JR's retirement his son Trevor Dover took over, maintaining the good relationship between business and farmer. Then after 25 years eventually handing over the reins to his nephew Murray who had relinquished his Bank position some years before. With the acquisition of adjoining land and several building updates over the years and the importation of Great Plains tillage and planting equipment from USA, the site has been considerably enhanced to provide an attractive and comprehensive facility as a one stop agricultural dealership. With the construction of the Maroon Dam we diversified into irrigation which further consolidated our business. In dry times, when machinery sales declined with resultant lack of staff activity, we were able to overcome this void in turnover with increased sales of irrigation and allied equipment. Through advancement in staff training, education and practical experience we are now proficient in the design, installation and service of major plants, importing center pivots from overseas namely the USA. The site acquired in 1981 at the corner of High and Railway Streets in Boonah now houses our registered office, a showroom, parts and workshop. This acquisition resulted in the vacation of 41 High St (original open air theatre) which was re -developed (1999) housing a restaurant, newsagency and offices.